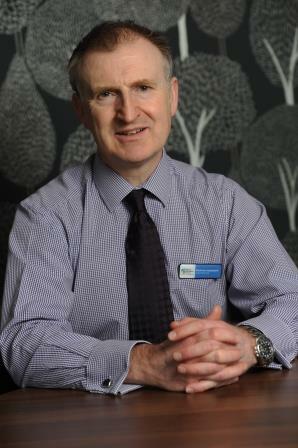 I’ve been Chief Executive of the Trust since its formation in 2006. I’m often asked what sort of background one needs to become a Chief Executive and my answer is that there is no set route. I’ve had a variety of business roles both as a Director and also owner, but after University I started my career with Pricewaterhouse, where I trained as an accountant. As a housing practitioner though, I’ve also had to learn about the rules and regulations that underpin housing policy and practice and I found that the best way to do this was to become a member of the Chartered Institute of Housing, because of the on-going knowledge and support they provide. Since 2006 I’ve focused my efforts on improving the housing conditions and housing related services for the tenants and service users of the Trust. The business has developed and strengthened over the past few years and during this period the Trust’s influence has continued to grow, which has enabled us to work in partnership with lots of different organisations to support our mutual goals. We now have a team of 230 at the Trust, all of whom are experts in their chosen field and committed to delivering a fantastic service. Their dedication has resulted in great performance across the business and some ground breaking initiatives that have been picked up as best practice elsewhere. However, we are not complacent, everyone knows that we must keep improving on our performance and thinking innovatively about both existing and new services. What am I working on now? Well, the huge need for affordable housing both in the Vale and beyond means that we must focus our efforts on how best to satisfy the demand. To conclude, there are lots of challenges ahead but also many opportunities, and I firmly believe that by working effectively with our partners and stakeholders we will all be better placed to respond to these.